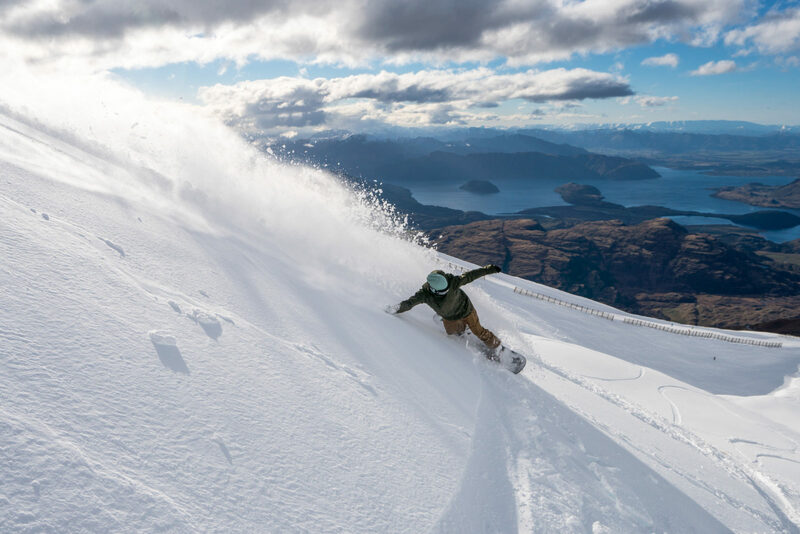 Some of the best freeride and ski race coaches in the world hit the slopes at Wanaka’s Treble Cone this winter, joining internationally-renowned instructors at the mountain’s Snowsports School. Local young skiers (and snowboarders) can take skill levels and confidence up a notch or three with full and part-time children’s development programmes throughout the season. Two-time New Zealand Freeride Athlete of the Year Sam Lee joins Team TC as head freeride coach for the first time, in something of a coup for the mountain. His solid competition results around the world — including a podium in Alaska in 2017 — secured him a spot on the Freeride World Tour in 2018 and 2019. As well as coaching Team TC this winter he’ll be coaching the NZ Freeride Team. Sam will coach alongside Louis Charnaud, who has instructed all over the world including New Zealand, Japan, USA and Switzerland. Louis also competes in Big Mountain skiing in the Freeride World Qualifier events. Meanwhile head ski race coach Michael Shenkel is no stranger to Treble Cone’s slopes, embarking on an impressive 24th season at TC in 2018. Mike holds USSA National Coach Level 400 and PSIA Level 3 qualifications and has had a long and successful career of ski race coaching in New Zealand and the States, with 72 seasons under his belt. Yes, he loves his US mountains, but TC is his ‘favourite’ when it comes to leading the coaching team and seeing the progression and growth of kids on and off snow. Meanwhile, youngsters aspiring to work their way up to Team TC level have plenty of other ski and snowboard packages and lessons to choose from. Already renowned worldwide for Mother Nature’s natural bowls and challenging upper-mountain runs, in recent years the much-loved ski area has developed rewarding intermediate terrain. It’s unique among Southern Lakes ski areas in having a Northwest-facing learners and beginners area alongside the base building, bathed in sunshine and warmth all season-long and perfect for those having their first ‘on-snow’ experience. TC’s renowned Snowsports School delivers superb value lessons and packages range from tailored learn to ski and snowboard packages to high intensity adult packages that sell out year after year. Littlies happily start their time on the slopes with a Ski School Kitty Cat Lesson for five-and-unders including a one-hour rental, one-on-one lesson and all-day learner lift access for just $99. A full-day solution for families is a child lesson (ages 6 to 17) which includes drop off from 9am, two group lessons, lunch and pick up at 4pm (rentals and lift additional). School holidays are a breeze with five-day school camps starting on July 9, July 16 and July 23 for youngsters wanting to hone ski race, freeski or snowboarding skills. Camps include two group lessons daily and are a steal at just $499 per camp (a saving of $171 on full retail child group lesson prices). Treble Cone’s official Burton Learn to Ride Programme provides specialised snowboard equipment designed to smooth the transition from beginner to intermediate rider. TC’s much-loved Riders and Sliders and Riders (for kids aged from four to 17) and Sliders Mini (three and four-year-olds ski only) runs for six consecutive Sundays from July 29. For Wanaka, Queenstown and Central Otago parents (and others!) Treble Cone’s premium ski improvement and development camps for adults are back after a highly successful 2017 season. Sofa Ski Camps have top hand-picked coaches leading five-day intensive camps suitable for intermediate to expert skiers. Sofa Ski Camps run over seven weeks throughout the season and two programmes in August are already sold out – so get in quick! Value-add packages across the board include a Learner Lift Package, Lift Package and Lesson, Progression Package and Learn to Ski Package. Renowned for its 550 hectares of skiable terrain and the longest vertical in the Southern Alps, Treble Cone is the perfect destination for every level of skier or snowboarder. The sheer size of its skiable terrain, from 30% to more than 50% bigger than surrounding areas, means lift queues are a rarity, even on a powder day, and slopes are wide open and crowd-free. Access to the mountain in 2018 will be easier than ever with a free TC Mountain Shuttle driving guests from the bottom of the access road straight to the slopes. Kids under 6 ski or board for free ($20 card fee applies) and there’s free helmet rental with every child rental or child lift and rental package, subject to availability. The Magic Carpet and snowplay area remain free to all. One of Australia and New Zealand’s most experienced and passionate brand management and marketing professionals, Richard Birkby, is joining Wanaka ski area Treble Cone as Brand Manager. An experienced marketer with 20 years’ experience working for internationally-renowned brands in New Zealand, Australia and the UK, Richard Birkby starts his new role in mid-June. Richard moved to Wanaka nearly five years ago because he wanted to spend more time skiing. And, not surprisingly, it was a certain ski area that was the catalyst for the move. “I moved to Wanaka because of Treble Cone,” he says. “I called it a ‘ski change’ because after having skied and worked all over the world the one place I felt most comfortable, the one place I kept coming back to, was Treble Cone. 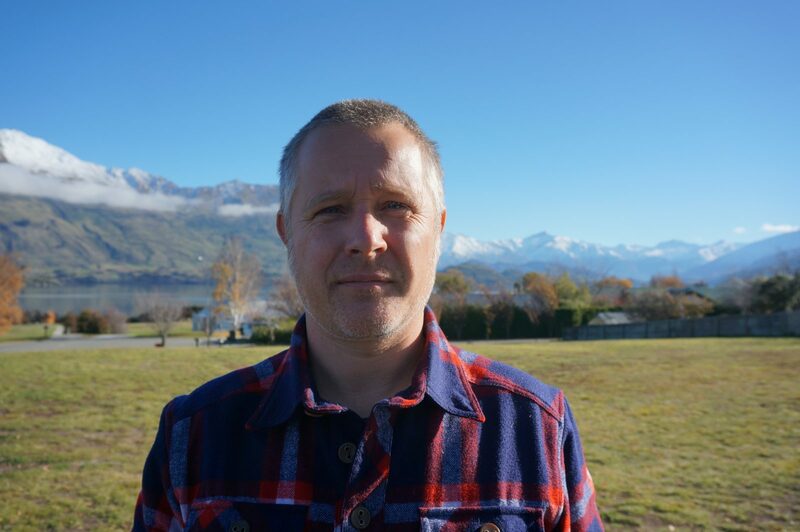 Richard, 45, came to Wanaka from Sydney in 2013, where he worked for leading advertising and marketing agency HOST. In his first year in Wanaka he commuted weekly to Auckland where he was Group Business Director for world-class creative agency Colenso BBDO, before spending three years as Head of Brand and Marketing at Wanaka-based Mons Royale. Richard believes Treble Cone has the potential to be an incredible “cult brand”. Treble Cone ski area manager Toby Arnott says Richard brings the “perfect” skillset range to the role. “We’re thrilled to have found someone of his calibre right here in Wanaka who will help us in our drive to collectively deliver an exceptional guest experience. When he’s not skiing at TC in winter, Richard and his family enjoy surfing and cycling. A Queenstown hotel is one step ahead of market trends with inspirational mindfulness and wellness packages being offered to its conference and incentive delegates. Crowne Plaza Queenstown is leading the way as a market innovator with three new wellness packages being showcased to domestic and international buyers attending MEETINGS 2O18 next week (May 30-31). The packages were developed after the property’s C&I team listened to delegates and took onboard feedback from local and international tourism agencies about the need for packages enhancing mind and performance to be included in events. The property’s new Yoga, Boot Camp and Mindfulness packages nurture guests’ physical and mental wellbeing, delivered by local fitness experts Peak Mountain Fitness. 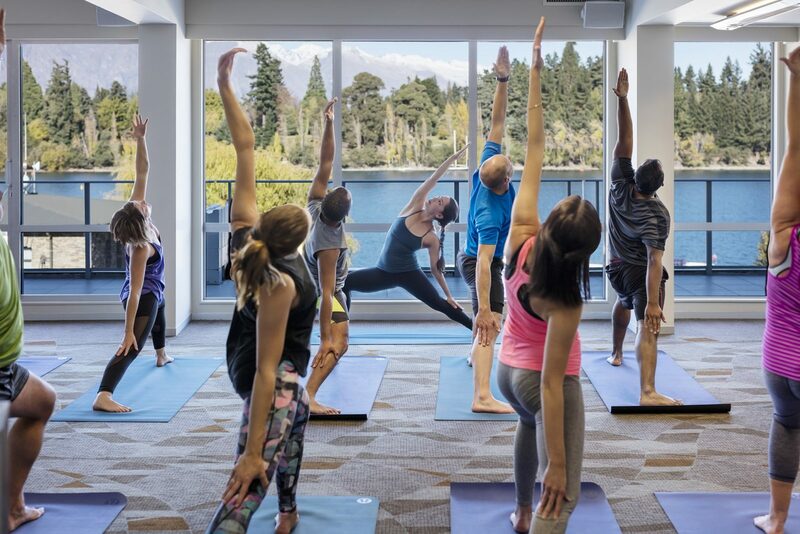 Designed to help enhance downtime in Queenstown’s stunning alpine environment, delegates are encouraged to find their zen and workout with peers at a time and place to suit their schedule. They can even compress the packages into a fun mid-conference ‘shake down’ in the hotel’s varied and flexible event spaces. The bespoke packages are tailored for all ages and levels of fitness and are flexible to suit time pressures and budgets. Crowne Plaza Queenstown General Manager Anna Edie says the hotel is “very excited” to bring the exciting new concepts to its delegates. “We love turning our boardroom into the ‘not-so-bored’ room and offering unique experiences for guests conferencing with us,” she says. “We work on the basis that the best ideas happen when you’re under pressure but totally relaxed, so we’re encouraging delegates to ‘switch off’ from external noise or pressures and re-centre their minds for the day or afternoon ahead. Scott and Jen Reynolds of Peak Mountain Fitness are delighted to be delivering the packages with their eight-strong team of fitness experts. “We’re giving business travellers the chance to ‘hit pause’, so they can strike the right work-life balance, get the most out of their business day, and take away some invaluable tools to help in their day-to-day lives,” says Scott. “The wellness packages are the perfect way to bring relaxation to the ‘workplace’ or work up a sweat before, or even during, a day of work, perhaps with a mini-bootcamp held in the hotel courtyard or the lakeside park opposite the hotel. “In-house yoga sessions are set in a calming space overlooking spectacular lake and panoramic alpine views, which is really unique for a meeting venue. All that exercise and deep breathing can be thirsty work, so delegates who want to finish the day ‘raising a glass’ to Central Otago vintages can do so with a Masterclass package. Masterclass is available to delegates enjoying a three-course dinner as part of their conference package, where they’re invited to learn the story of Central Otago’s world-renowned wine region. The enhanced dinner experience perfectly blends the work delegates might do throughout their business day with the restorative power of a food and wine journey that’s educational while still being fun. Holiday Inn Auckland Airport hotel is now the perfect place to ‘holiday’ before or after connecting to domestic and international destinations, thanks to a multi-million-dollar refurbishment. Drawing inspiration from New Zealand and the Pacific, Holiday Inn Auckland Airport has a contemporary new look following a full renovation of its public spaces. The $3million refurbishment, which commenced in June last year, has transformed the hotel’s ground floor restaurant and bar, hotel lobby, reception and swimming pool into eye-catching yet welcoming spaces, with a nod to cultural New Zealand and Pacific heritage. The property’s ‘open marae-inspired design’ offers the perfect meeting ground for travellers and Aucklanders alike, giving it a ‘welcoming heart’ with bursts of colour, life and energy. The stylish new lounge bar sits at the heart of the hotel, where the removal of its original floor and ceiling features has revolutionised the space and opened it up to the sub-tropical gardens and the new swimming pool deck. The hotel’s restaurant is now a destination in its own right, taking diners on a culinary journey of native New Zealand in a Pacific holiday setting – think hanging plants, bursts of colour and authentic finishing touches. Ten flexible meeting and function areas have received a fresh new look. The refurbishment reinforced the popularity of these rooms which have a relaxed resort, rather than city ‘feel’. The rooms are known to be particularly spacious, with an airy atmosphere and plenty of natural light. 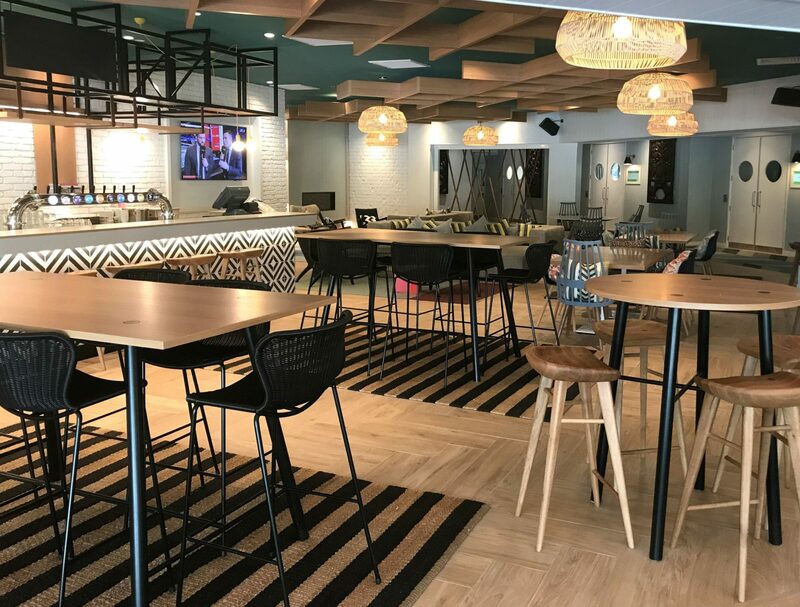 Delighted with the transformation and the investment in Auckland and New Zealand tourism, Holiday Inn Auckland Airport General Manager Scott Schaefer described the new look as a “runway success”. “From check-in to departure, there’s plenty to do to keep the family or colleagues entertained in comfort while you wait for your next flight or seminar,” he said. “We have invested in games and other family-friendly amenities, reinforcing Holiday Inn’s family proposition and what the Holiday Inn brand is known for worldwide. New furniture, flooring, light fixtures greenery and artwork throughout has added a modern twist, complemented by injections of Maori wood carvings, gifted by the local Iwi. The pool is an oasis of calm amidst sub-tropical gardens, although it’s just minutes away from Auckland Airport terminals and all major motorways. A group of committed stakeholders in the project included owners Cockpit International, InterContinental Hotels Group (IHG), Designworks, JSC Ltd and construction company Format. The creative Designworks team designed the hotel so all public areas were on one level, with a strong central core. “Guests gravitate towards the central courtyard and pool area now that a variety of spaces have been opened up and flow into what is the ‘welcoming heart’ of the site,” said Designworks’ Group Head of Spatial Design Clark Pritchard. Jacques De Lange, Managing Director of construction company Format, said they were “proud” to deliver the transformational project. “Holiday Inn confirmed the strength in their brand by investing hugely in an improved facility,” he said.